LoveNokia | Latest News and Information about Nokia Mobile: Nokia 3310 Features Leaked!! The all new modern Nokia 3310 is about to launch at MWC and we now have more leaks about the features that this new Nokia 3310 will have. According to the information gathered by VTechgraphy, the modern Nokia 3310 will be a feature phone and not a smartphone. The design of the modern Nokia 3310 will continue to resemble the original Nokia 3310 but the device will be much thinner and lighter.. The size of the keys will be adjusted but the location of keys will remain the same. The modern Nokia 3310 is said to have a larger color display as opposed to the monochrome display that was seen on the original Nokia 3310. The phone is said to be available in a variety of color option which include yellow, green, red and so on. We are just two days away from the launch of the new Nokia phones. 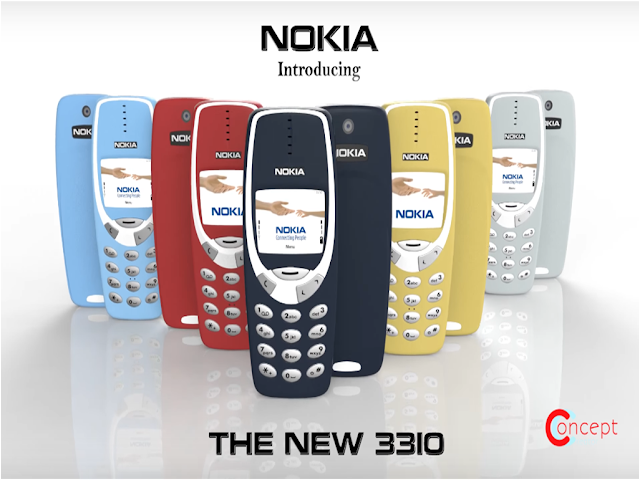 We will soon find out how the modern Nokia 3310 looks like. You can keep track of the event here.